History : Stone Age en knew the sheet bend, which has an identical layout to the bowline, the only difference being which end is used where and for what. There is, however , no evidence of the bowline having been used that far back in the time. It was mentioned as a seafarer's knot by Sir Henry Mainwaring in The Sea-man's Dictionary (1644) and first illustrated in David Steel's Elemants and practice of Ringging and Seamanship in 1794. The time is long gone when it really was a 'bow line knot', used to hold the weather leech of a square sail forward closer to the wind, preventing it being pulled back. Other nautical uses include looping a boat's painter or ship's mooring rope around a quayside bollard, and tying a line around a crewman's waist, to lower him over the side. Two interlocked bowlines also form a handy hawser bend. 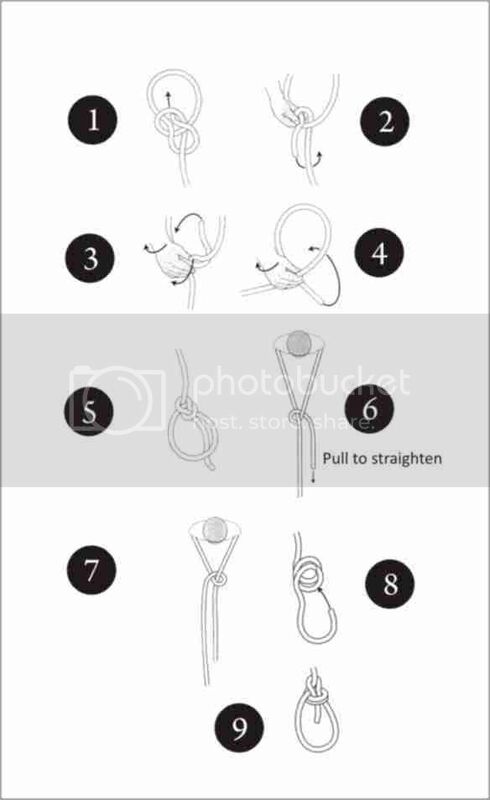 Some useful variants on the common bowline (e.g., a double bowline, a bowline in the bight and a couple of triple bowlines ). All however, rely upon you first mastering the basic knot.